You can find all breeds of puppies available to rescue. Unfortunately some owners who thought they were ready to own a puppy turn out not to be at the right stage of their life to do so. These puppies will then find themselves unwanted and looking for a new owner to love them! So you’d like to a adopt a teddy bear puppy dog? Great! Brighten your day by checking out some more puppy pics. Do I have the money to look after a dog? Vet bills, food, toys? These can really add up over the course of a dog’s lifetime. Can I realistically make the time to look after a dog? Puppies need extra care due to training, let alone all the playtime sessions. Plus they need their walks! What does my future look like over the next 10 years? Moving homes, or even moving countries could come to great expense and as cute and fluffy as they are now, you need to love and care for them like a parent all the way through their life. And they won’t be moving out of home at some point either! Will I be home enough to care for them? If you travel a lot, who will look after your dog while you are gone? You can pay for this service from someone like a dog walker but it generally does not come cheap. How much space do I have? Dogs need space. Duh! Teddy bear dogs need less space but they still are energetic and if you rent, your strata may have rules around dogs living there with you. Most important to remember, all puppies grow up to be bigger dogs (yes obviously some bigger than others!) but wouldn’t you hate to be that person taking the dog to a shelter because you do not have room for them any more? Lastly, do I really, really want to adopt a dog? It sounds like a silly question, but people want to adopt dogs for a variety of different reasons so best you think honestly about what yours is. Why don’t you pop your reason below in the comments? You need to make sure your reason isn’t one that is going to change over the next 5 to 20 years. Your dog will become (some say the best) part of your family! So it needs to be a resilient and perpetual reason. Where To Adopt a Teddy Bear Dog From? Okay, so you’ve ticked YES to all the questions above. Fantastic! Next up, where would you like to acquire your new family member from? A shelter may be run by a large organisation such as the ASPCA or RSPCA or locally individually run. Some are large with many kennels and some very small, but the key is that these amazing charities take in pets from the pound or the street or who have been surrendered. The animals have nowhere else to go and the shelter will act as an intermediary between someone like yourself looking for a new family pet and the big bad world. The shelter will also screen potential new dog owners to check that they are a good match for the temperament and personality of the animal and yourself and your lifestyle. They can help with advice around immunisations and vaccinations too. Online there are websites such as adoptapet.com/dog-adoption who advertise shelter dogs from all over the country. These such websites allow you to look more further afield than the pets in your local shelter, for example if you are after a specific breed. A pound is the first place a stray or seized pet generally ends up after being taken in by rangers on behalf of a local council. You might like to adopt a pet from the pound, however you will likely not get any idea about the dog’s temperament or suitability to your own from the staff there. Teddy bear dog breeds may be found via one of the above means meaning you don’t need to visit a breeder to find your perfect partner. You may just save a dog’s life along the way too! You may already have the type of dog in mind that you’d like to adopt. 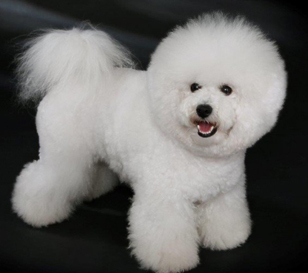 You could find a Sichon (Shih Tzu and a Bichon Frise) or one of the various hybrids between similar breeds such as Shih Tzu, Bichon Frise, Schnauzers, Toy poodles, Cocker Spaniels, Yorkshire Terries, and Daschunds. 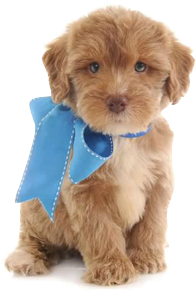 You may also like to rescue a Pomeranian teddy bear puppy dog or rescue a Goldendoodle, which are one of the most popular teddy bear puppies. To be honest though, if you take the time to visit a shelter with the right motives, with all your pre-conceived ideas about what breed of pooch you would like you will likely form an attachment with a helpless pup in there that you fall in love with regardless of their pedigree. These dogs are closer to euthanization than freedom, so give them all a chance and be clear and honest about your reasons for selecting them and you will both be better off as a result!